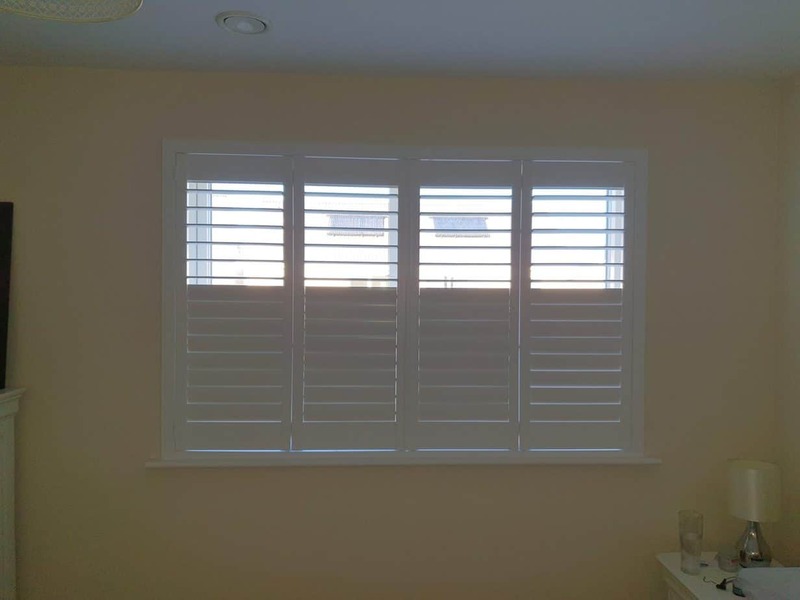 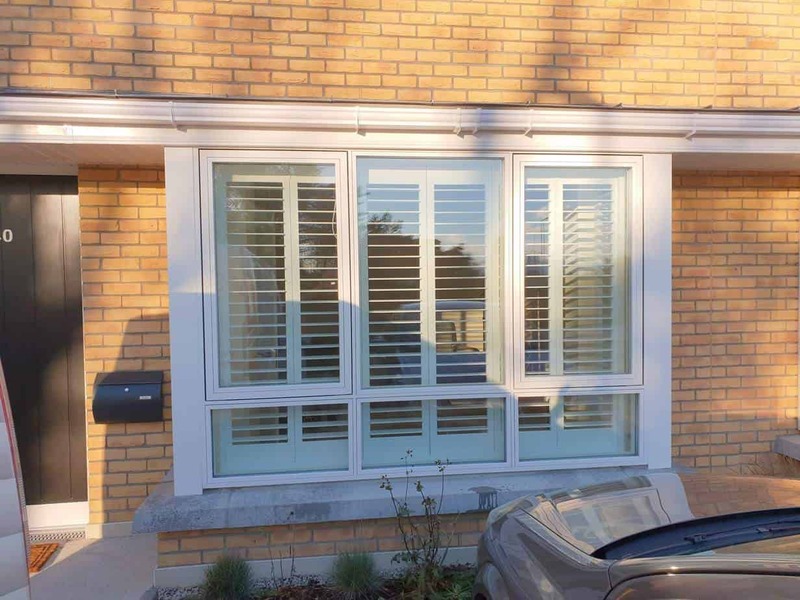 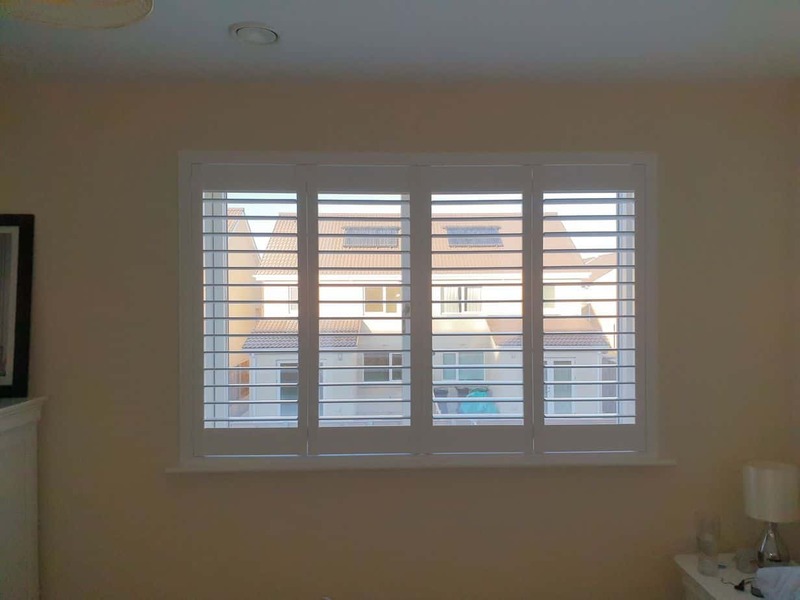 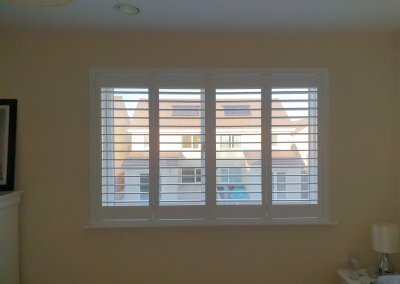 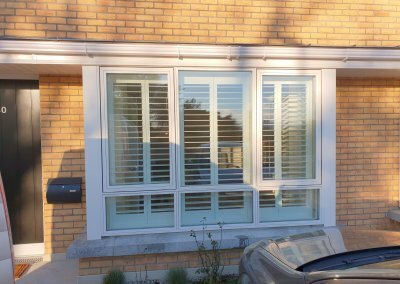 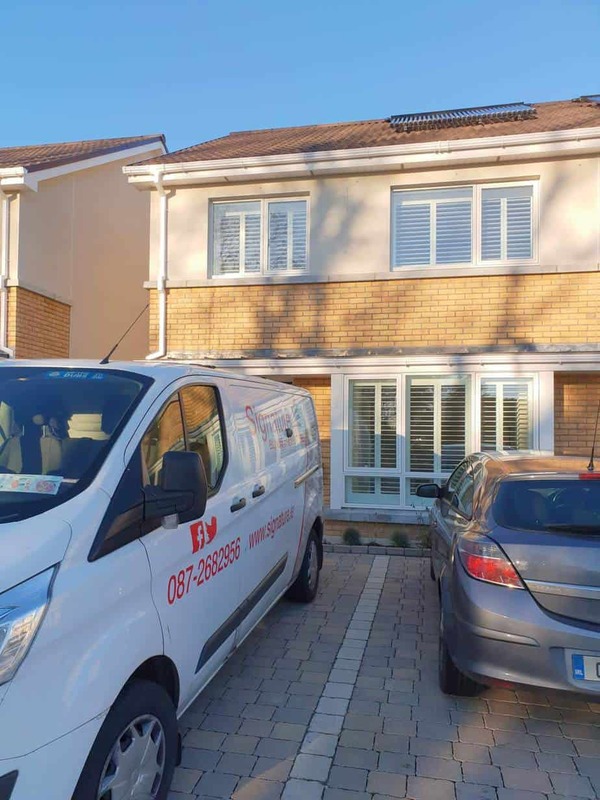 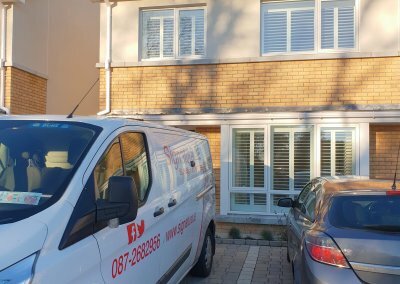 Plantation shutters installed in Castleknock, Co Dublin. 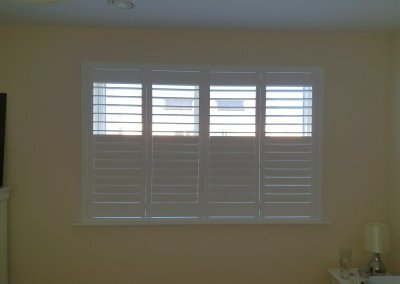 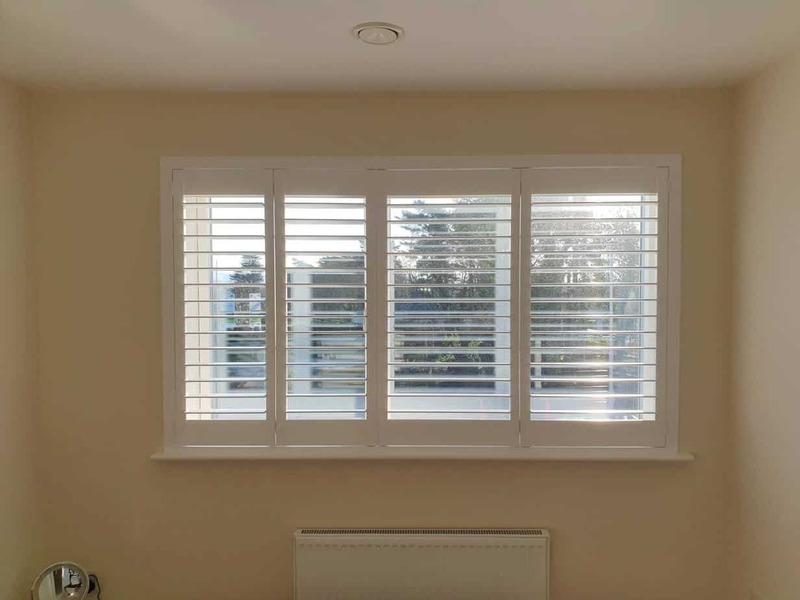 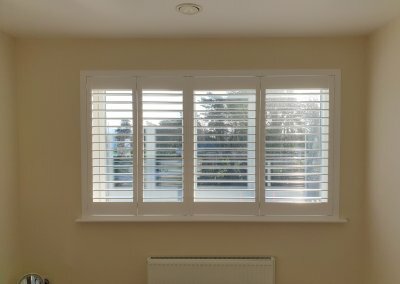 These plantation shutters all come with a frame which is installed on the outside of the frame window. 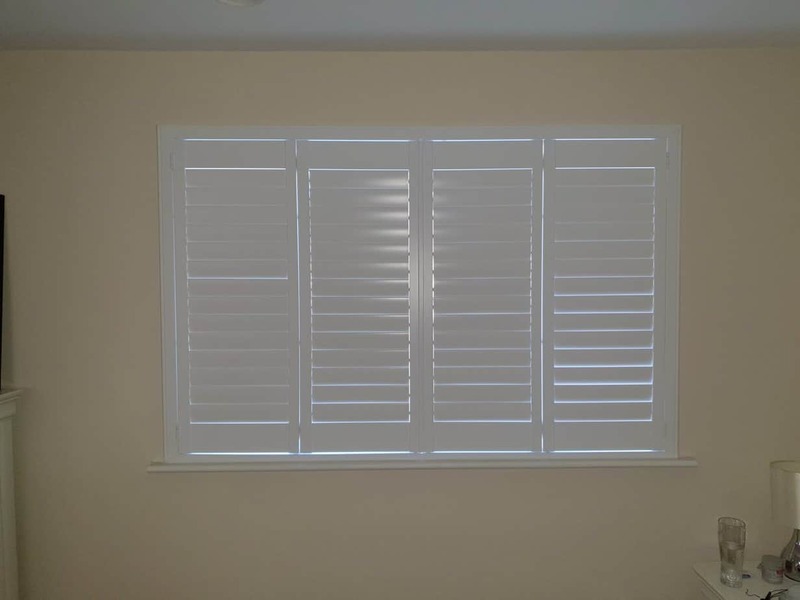 You can also see a hidden tilt which means the louvres can be opened and closed by pushing or pulling a single louvre rather than opening and closing the louvres with a tilt rod. 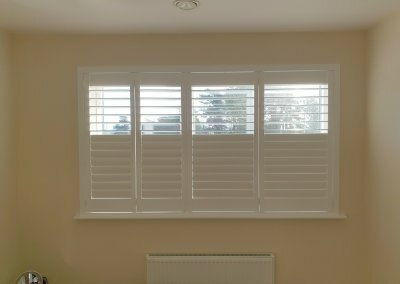 There is also a split tilt which allows you to have one part of the shutter opened and having the other part closed. 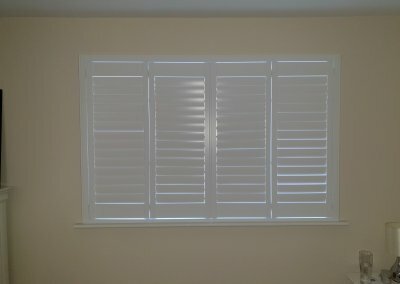 This gives you greater control over the light that enters the room.